​It’s not about creating a Jetsonian future; it’s about aiding the elderly. As car enthusiasts, it’s all too easy to make out self-driving cars as being The Enemy. A large part of our identity revolves around the enjoyment of driving cars ourselves, but the autonomous overlords are seemingly here to take that away. For one thing, that’s probably not the case–at least, according to Google self-driving car CEO John Krafick–but we as enthusiasts need to look at the potentially profound societal benefits self-driving cars could bring. 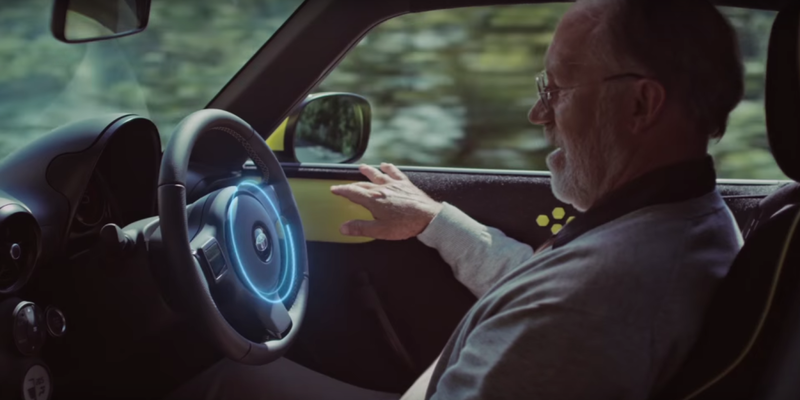 Toyota spells this out well in this genuinely poignant commercial, which features an older gentleman being driven around in an S-FR concept, reliving his youth. Japan’s life expectancy isthe highest in the world by a significant margin (87 for women, 81 for men), and this disproportionately large elderly population puts a strain on the country’s resources. A big part of Toyota’s mission in investing heavily in self-driving cars is to reduce Japan’s burden. Of course, part of everyone’s stated mission in developing self-driving cars is to provide mobility to those who otherwise wouldn’t have it, but Toyota puts it at the fore more than anyone else. That’s a reflection of its home country, but it also gives us a reason to be excited for self-driving cars. Don’t think the machines are only in development to take your fun away; think of them as a way to genuinely benefit society for all. For further reading, check out Kat Callahan’s piece over at Jalopnik which looks at this same commercial as a way to examine Japan’s changing face. It’s well worth your time.